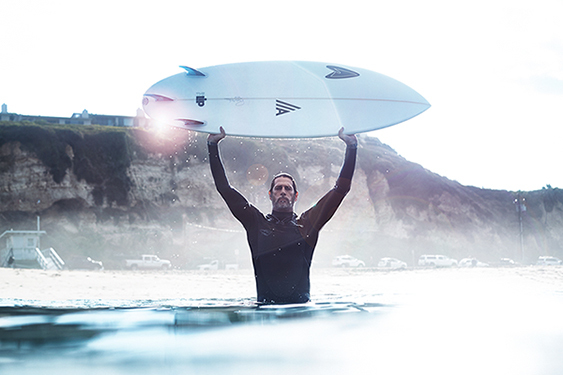 For years, Steven traveled the world as a successful model and surf/skate competitor. It was during this time that he began taking photos, avidly documenting his friends and life on the road. His talent was evident from the start. When he returned to California, he embraced photography as a career, approaching his work with the same unflagging dedication that he does with surfing. “I put my heart and soul into everything I do,” says Steven. “As a baseline, my goal is to deliver what the client has asked for, but I’ll always explore additional creative perspectives they may have not considered.” Steven has merged his talent into become a successful commercial director as well. As an avid environmentalist, Steven serves as President of A Walk on Water, which is a non-profit 501(c)(3) that provides surf therapy for those with special needs. “We take children and adults surfing, introducing them to the magical healing powers of the ocean. It’s the most humbling and emotional thing I’ve ever experienced.” Along with A Walk on Water, Steven is also an ambassador for SurfAid International, a non-profit humanitarian organization whose aim is to improve the health, well-being, and self-reliance of people living in isolated regions. Steven lives with his Wife, Ana Paula, and two children, Reilley and Ryder, in Malibu, where he is still an avid surfer and skater. A self-described family of artists and watermen, they all do their best to enjoy the ocean, even if only briefly, every single day.